the baby Blade is light, nimble and ideal for a beginner who’s never thrown a leg over a motorcycle before. It all starts with Honda’s 286cc single-cylinder thumper engine, designed to save weight and produce plenty of learner-friendly low-revving torque – rather than gobs of horsepower. It’s also the ideal bike for those coming to grips with the fine art of throttle and clutch control because it is as intuitive as it is forgiving.Because of its lower capacity, you can’t help but to hold the throttle on the stop for a lot of the time and, as you do your best Fred Astaire rendition dancing through the gears, it doesn’t take long before you’ve worked out the best rpm to get the most out of its honest and lively torque curve. 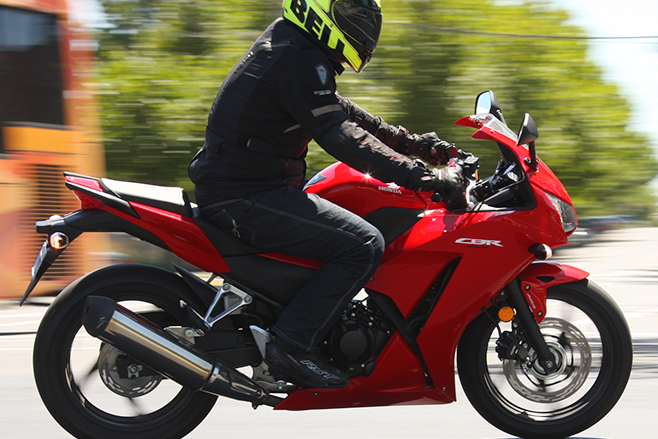 Being a big-ish single, there’s instant torque from the moment you release the clutch. It pulls away from the lights smoothly and you’ll be ahead of most cars before you know it.The gearing is slighlty taller than its 250 predecessor, which makes for comfortable highway speeds. Honda has fitted a counter-balance shaft, so there are minimal vibrations. This allows you to tackle and enjoy those longer highway commutes. The dash is basic but has all the functions you need, such as a fuel gauge, tripmeter and clock. All the information is easily readable at a glance, so you can spend more time watching the road ahead. Another learner-friendly addition is the ABS brakes. The 296mm front disc provides ample stopping power, without an overpowering initial bite. This offers you plenty of feedback before the ABS kicks in. The IRC Road Winner tyres are adequate for city commuting and will last you many kilometres. But as you progress and become more confident on the bike, you’ll might consider upgrading to a set of hoops with a slightly more sportier profile. I was very impressed with the bike’s build quality and, with Honda’s legendary reliability, it should prove to be all but bombproof. 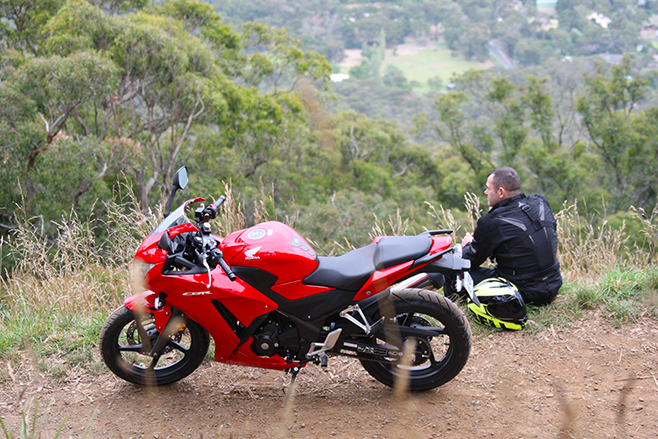 Overall, I think the CBR300R is a very capable first bike to hone your skills on and ought to keep you out of trouble from the boys in blue. 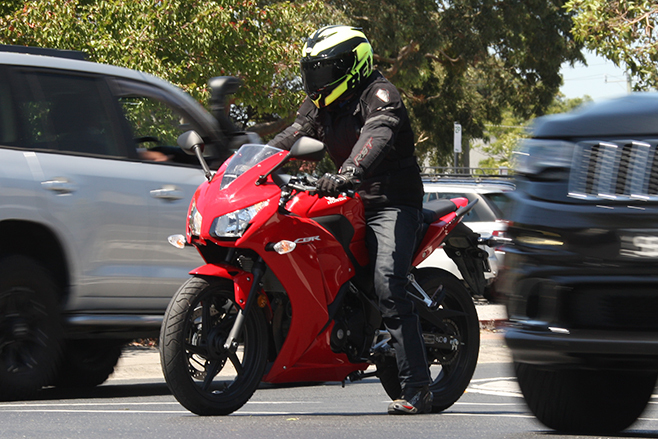 Learners will have a tonne of fun with it before getting to the point of being able to outride it and, considering its priced at around $1200 less than its main rival – Kawasaki’s Ninja 300 – that’s a lot of bang for buck. And with the money you save, you can put it towards some decent kit or rider training. This Quickspin appears in AMCN Vol64 No20. Digital copies of AMCN are available from our iTunes store.